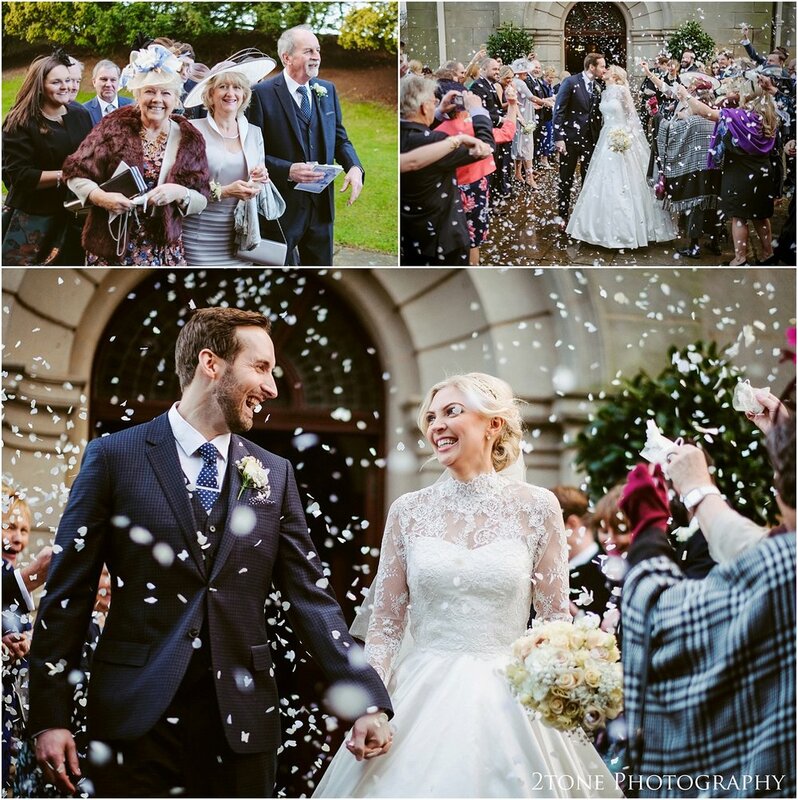 Helena and Gareth's beautiful wedding took place at Wynyard Hall in the Tees Valley the day before new years eve. Helena chose pretty pastel shades and delicate florals to contrast with the deep navy blue gowns that her bridesmaids wore. 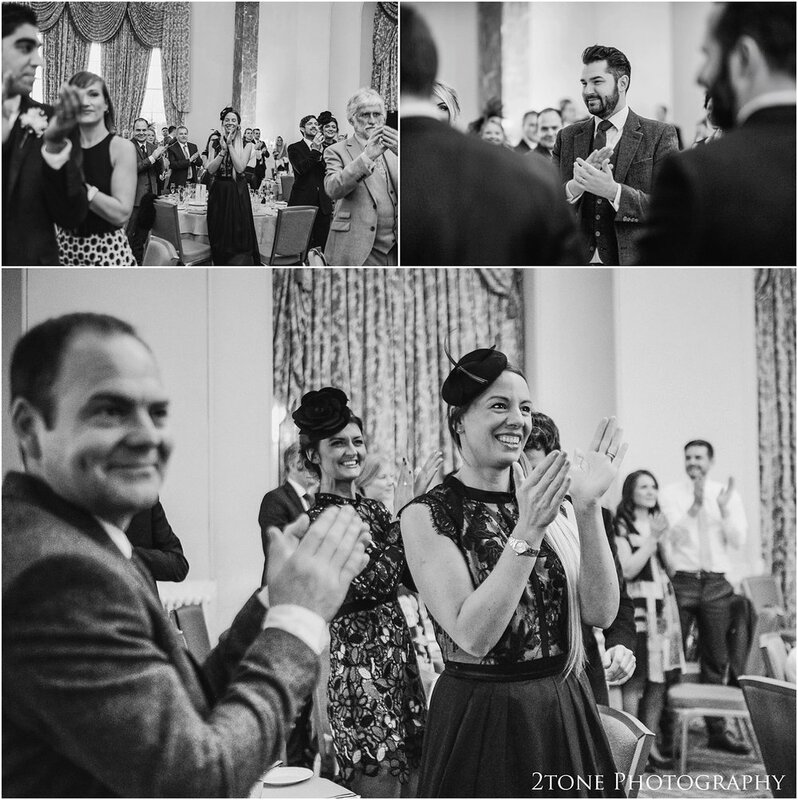 The overall look was stylish and classic, perfect for their elegant venue. 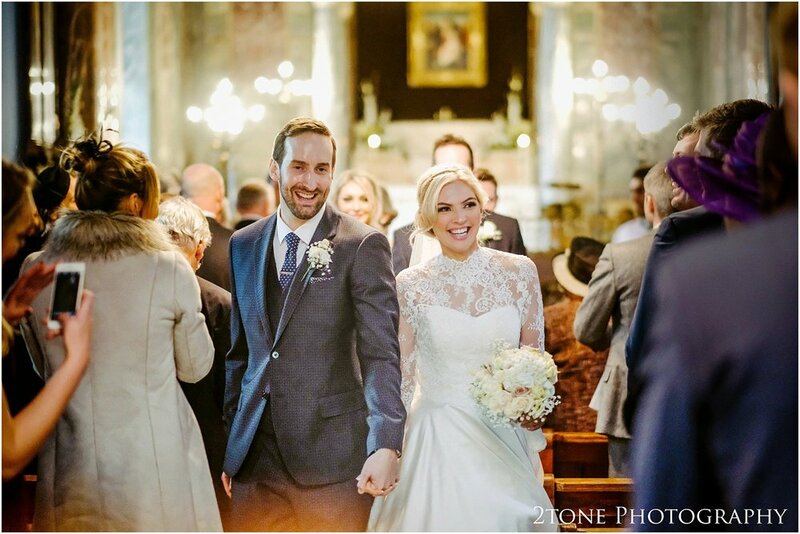 They were married in the Brooks chapel within the grounds of the Wynyard Hall estate itself, heading over to the statue gallery for their drinks reception, the ballroom for their wedding breakfast and then finally into the large light filled conservatory for their evening party.